Are you interested in becoming a runner? Or have you been a runner in the past and want to get back into running shape safely? If so, this program is for you. Running can be a great fitness option for cardiovascular health, mental health, maintaining bone density, and a run can be a nice "time out" during a busy day. It's fun and rewarding to train for a running event, complete it successfully, and even achieve a personal record (PR). Step one is to get out the door and begin fitness walking on a regular basis. Start with just ten minutes once per day and gradually work up in five minute increments until you can briskly walk three miles, with no aches or stiffness the next morning, three days (or more) per week. Once you can accomplish this you are ready to begin Coach Cordes' Beginning Running Program. For more guidance in this first step, a consultation is recommended prior to enrollment to go over shoe selection, effective walking pace, suggested incremental increases, proper form and more. E-mail Suzanne@in-training.com to set up your consultation or to answer any questions about location, rates, enrolling, getting started. 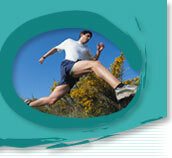 About The Program: Beginning Running is a structured and coached program that builds gradually week by week. We begin with form and strength drills to prepare our muscles and joints for running. This is our most important segment and will help reduce chance of injury. These exercises are incorporated into the beginning of each workout. (*Highly recommended is also enrolling in BASE Training on Thursday evenings for a 1.5 hour focused workout of drills, how to perform each correctly, how to progress, and more. These two programs performed together for the first six weeks equal success). Beginning Running workouts begin with walk/run intervals, each being timed, with more walking than running, within ten minute blocks of time. Gradually progress to more running than walking within the ten minute blocks as well as increasing the number of blocks per workout. We use a gravel surface that is very forgiving on our joints and will transition onto asphalt surfaces gradually throughout the program. Our goal is to assist you in working up to being able to complete 3.1 miles (5k) of running without stopping. Then set your next goal of completing a an 8 or 10k or even a half marathon. Then try a second 5k to chart improvements. Fun! Step two is to request registration forms and readiness questionnaire from suzanne@in-training.com, fill them out and e-mail back. After registration forms are reviewed you will receive a link to enroll in Beginning Running along with a course outline with details on what to wear, what to bring, location directions. Now you're In Training . . .
*Can't attend this group in person but still want the training? Online training is available for this program. Contact suzanne@in-training.com for all the details. How to Register for courses through In-Training.